Did you ever consider Italy as a major destination for sea kayaking ? Perhaps not, but with its 7 600 km. of coastline Italy offers some great spots for sea kayaking! Think about the famous Cinque Terre, where you can paddle from village to village, dream about paddling along the Amalfi Coast, or discover some stretches of still unknown pristine coastline with us. 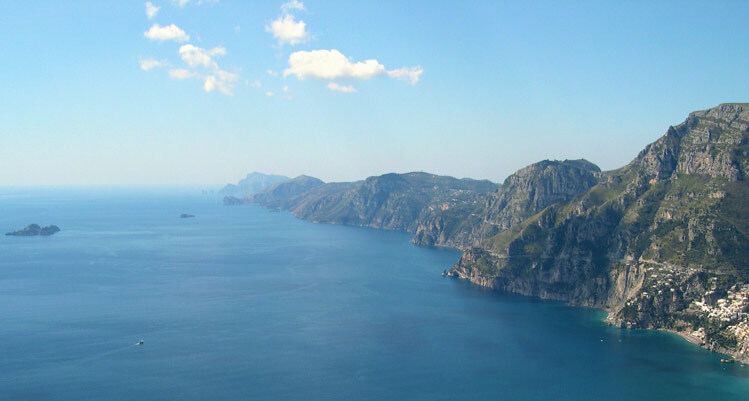 Genius Loci Travel offers a select range of kayak tours along Italy’s most beautiful coasts, both for beginners, as well as for more experienced kayakers. Most groups are small group tours (max. 8 people), with set departure dates. But of course it is always possible to organise a tailor made trip, especially for you and your friends! Many of these tours can be turned into private ‘Bespoke Adventures‘ to accommodate private group travel. We can organise both “off the shelf” itineraries, as well as create custom itineraries to meet your special needs. Book the dates you want, with the family or friends you wish to bring along! Love kayaking, but don’t want to spend your whole holiday paddling? Especially for our clients we offer a small number of selected daytrips – an ideal combination with one of our great walking or cycling tours! Check out our great offer of Sea Kayak Tours in Italy! One of the strengths of Genius Loci Travel is the design of each tour. A Genius Loci tour takes you along carefully selected routes, making sure that you see the best that each area has to offer, with an optimal mix between activities (kayaking, hiking & sightseeing) and relax, between culture & nature. Of course we organise tours along the stunning Amalfi Coast & the famous Cinque Terre, but as well we offer some great kayaking adventures in Portofino and along the coast of the Cilento National Park. On our tours we aim to find the right balance between continuous ‘Inn-to-Inn’ routes and those that are ‘Centre based’. Usually you change accommodation about every 2 days on our tours. This avoids the hassle of having to change hotel every day, while allowing you to follow a continuous route through the area, without having to travel each day to the start of your route. Also real ‘Inn-to-Inn’ trips as well as centre-based tours are available on request. Also do we offer – exclusively for our clients on one of our walking or cycling tours – some independent tours, on which you are free to follow the route at your own pace. These tour programmes are flexible, you can normally start your trip on any day during the season, and you can add on extra days where and when you desire, for resting or sightseeing, as well as to opt for tour extensions in nearby areas.